Transportation in Arunachal Pradesh is mainly dependent on the road network. Arunachal Pradesh is located in a hilly area, so the railway network is not well-developed here. Also, the road network is also not very strongly developed in the state. However, when it comes to traveling most of the people prefer the state run buses known as Arunachal Pradesh State Transport Services (APSTS). Apart from that the autos and taxis can also be used for trasportation. When you travel to Arunachal Pradesh, you are a little susceptible to the extra expenses which you may not even have calculated. Most of the extra expenses are spent on the things which are not pre-planned like visiting market places, visiting some kind of shows, buying expensive things, etc. So when you come across such a cost, then ensure that you avoid or minimize that extra expense, which can run your pocket empty. There are some places in Arunachal Pradesh, which are prone to pick pocketing. Some of the tourists have experienced that their pockets were picked. It is better to be extra cautious while protecting your pocket. It is better that you keep your belongings in the front pocket instead of the back pocket. While planning a tour for Andhra Pradesh, do look for the season in Arunachal Pradesh. The summer season is hot here, the scorching heat may be unbearable for some of the tourists. Also in the rainy season, some regions experience very heavy rainfall. The winter season is the best season to travel here. The people can freely travel and enjoy some nice moments here. The states like Arunachal Pradesh and a few other North Eastern Indian states are a little tensed due to terror activities. Small terror events do occur in Arunachal Pradesh occasionally in some parts. However, there is no need to worry much with regards to this as the military have a strng presense here. However, the tourists should avoid going to certain disputed places and also coordinate with the military people properly. 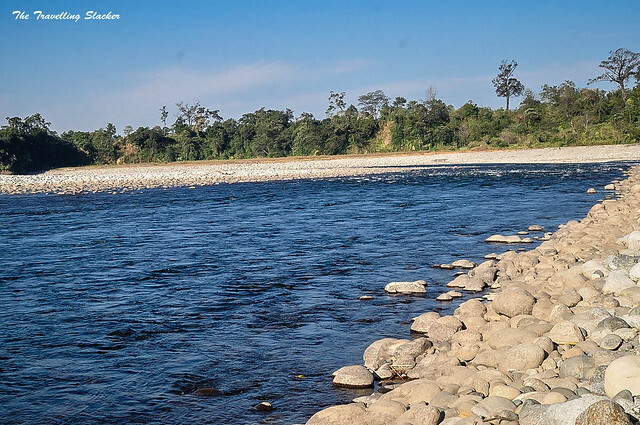 Some places in Arunachal Pradesh are really in a very remote location. The travelers many a time feel the problem of finding the proper route while traveling to that spot. However, hiring a travel agent is always the best idea. A travel agent can surely minimize your efforts and make your trip enjoyable. Many people may be taking some or the other medicines on a regular basis. However, if in some case your medicine is finished, you may need to buy them fresh. However, there are very few places in Arunachal Pradesh, where you can easily get medicines. So, it is better that you keep an extra pack of the medicines with you, otherwise, you may end up facing a problem. In Arunachal Pradesh, you will come across different types of tribes and different cultures being observed here. Different festivals are celebrated very colorfully and enthusiastically in Arunachal Pradesh. In various festivals, you can see different group activities like praying, singing, dancing and paying gratitude in Arunachal Pradesh. A tourist should never disrespect the local culture and try to give whole hearted respect to the local culture here. The different tribes of people living in Arunachal Pradesh are Bori, Tagins, Adi, Apatani, Galo, etc. Different festivals celebrated here are Siang River Festival, Pangsau Pass Winter Festival, Ziro Festival of Music, Solung, etc. There are some places in Arunachal Pradesh which may not be safe for the tourists. Some local thugs and robbers may try to rob the tourists in remote areas. Also, there are some routes which are difficult to understand for a newcomer. So, it is always advisable that you should not travel alone in Arunachal Pradesh, always be with someone or a group. When you travel to Arunachal Pradesh do take proper care of your bags and other valuables. It is advisable that whichever hotel you stay in, double check whether the room is locked when you go outside. Some people have reported loss of baggage due to their negligence. Also, while traveling keep a proper watch on your bags and other belongings.